You are currently browsing the tag archive for the ‘Rafting’ tag. At pm in Kathmandu it’s difficult to get proper transport to reach your home. So you should arrange the transport before planning to leave for rafting and returning home on the same day (at least from Kathmandu!). On 23rd April 2011, plans were that we would leave Kathmandu by 7 am. Well said than, we were at Kalanki till 10am. Simple to hear, hard to obey. Those commands were really confusing till we practised on the way. Later on it became easier to understand and simple to obey. The guide was the captain of the boat. 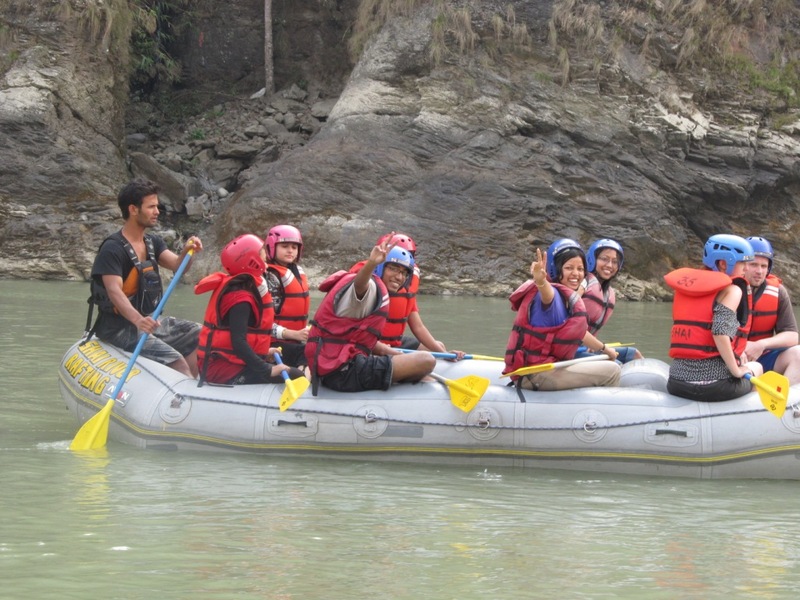 After the brief training, our boats was facing rapids. Twin Truck, Laddie’s delight and so on. Fancy names! High grade rapids are more adventurous and dangerous because the girls in our boat fell times and again on those rapids. Pinky and Rita swallowed Trisuli water and became ‘mukt’ from their ‘pap’. The white face girl fell off from the boat for three times, but she was tough and returned back to boat each time she fell. Even though we did not know how to swim, it was not difficult to jump in still water with life jackets. It was easy to float but getting back to boat was tough job and needed help. The guide wanted to catapult the boat but our passenger got the hint and the plan failed. 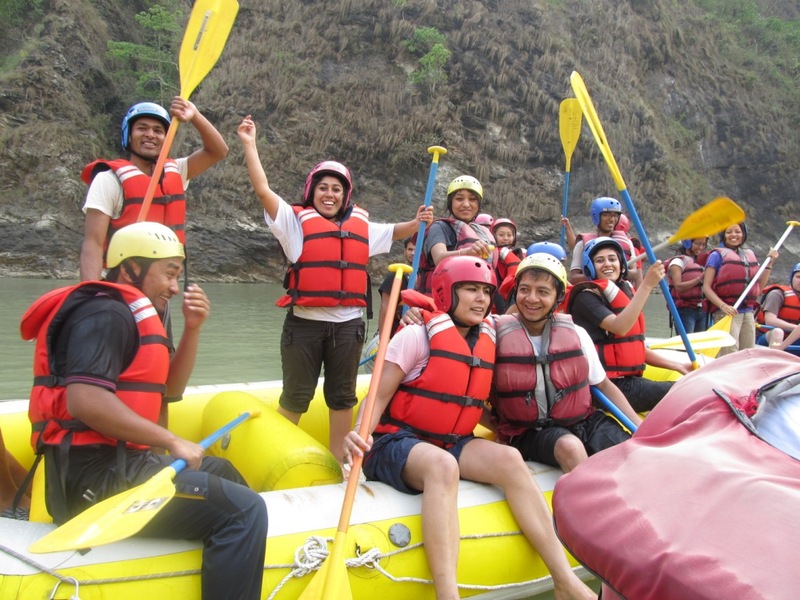 The rafting took about 3 hrs and ended at the beach of Trisuli at Kuringhat where we ate dal-bhat. Had a brief photo shoot. Then we changed our wet clothes and returned back to Kathmandu. But on the way the tourist vehicle had problem. The tyre puncher and we had to wait for an extra hour. It was 10pm when we reached back to Kathmandu. Thanks for Juben for providing shelter for that night. The participants: “Sanima Hydro and Engineering” Nirja (the planner), Sudha (the event manager), Sarita, Eliza, Pinky, Deepika, Gyatri, Rita, Sajan, Maheswor, Naresh and his frens, Arbin, Deepak and others. The cost: NPR 1500 per head (included travel, breakfast and launch) but not droping at home. Suggestions: Spend couple of days. First day raft and stay at the beach then next day return back!